New Delhi, Aug 22 (IANS) The Delhi High Court on Tuesday issued notice to the central government, Facebook, Google and Yahoo on a plea seeking direction to the internet majors to take down the links of the Blue Whale game. The Blue Whale Challenge is reportedly a suicide game in which the player is given certain tasks to complete for a period of 50 days and the final task leads to the player committing suicide. The player is also asked to share photos after finishing each challenge. A bench headed by Acting Chief Justice Gita Mittal sought the response from the central government and internet companies while hearing a plea filed by an advocate Gurmeet Singh, who cited deaths of youths in India and abroad because of this challenge. 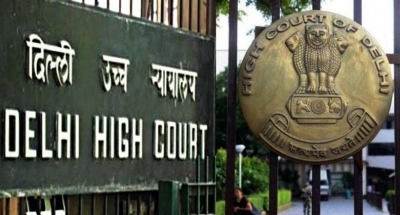 The plea also sought direction to Delhi Police to appoint a special team comprising at least five members to oversee whether the internet companies comply with the court’s direction. The plea mentioned that more than six youths across India in the age group of 12-19 years have taken their lives within a span of two weeks while playing this game. It added that deaths of teenagers have been reported from other countries including Russia, China, Saudi Arabia, Brazil, Argentina, Bulgaria, Chile and Italy. The sudden popularity of the lethal online game Blue Whale Challenge had forced the government to issue directions to the internet giants to remove the links of the dangerous game. The Ministry of Electronics and IT had directed Google, Facebook, Whatsapp, Instagram, Microsoft and Yahoo to immediately remove the links of the Blue Whale Challenge. A 16-year-old student attempted suicide by jumping off the fourth floor of his house in Delhi last week. On July 30, a 14-year-old schoolboy Manpreet Singh Sahani allegedly walked off the fifth floor of his building in Sher-e-Punjab Colony in Andheri East in Mumbai. Also, a former Manipur minister’s son died after falling from a terrace in Delhi and the Blue Whale game is suspected to have driven him to death. A teenager in Kerala hanged himself to death allegedly while completing a Blue Whale challenge.